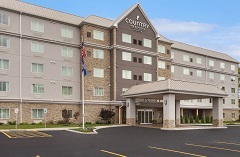 At the Country Inn & Suites® by Radisson, Buffalo South I-90, NY, all employees and training participants of HJS Supply are invited to take advantage of a rate of $89.00 plus tax. Available for stays from March 30, 2017 to March 31, 2020. No additional discounts can be applied. Some restrictions and blackout dates will apply.